“[W]hat if they gave an apocalypse and nobody noticed?” was the question that Brooks Landon (1991, 239) proposed as the central thematic concern of the 1980s cyberpunk – a movement which today represents a landmark in the development of the science fiction genre. 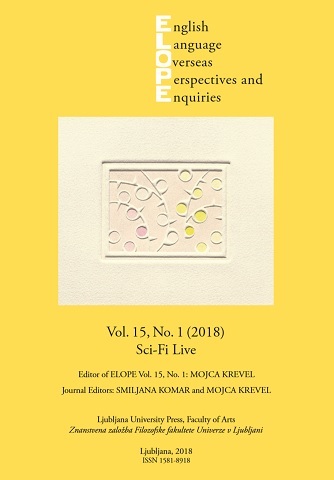 Diverse as they are in their focus and scope, the contributions to this issue of ELOPE, dedicated to the position and role of speculative fiction, and especially science fiction, in a world which is increasingly becoming speculative and science fictional, invariably demonstrate that an apocalypse did indeed take place and went by largely unnoticed. 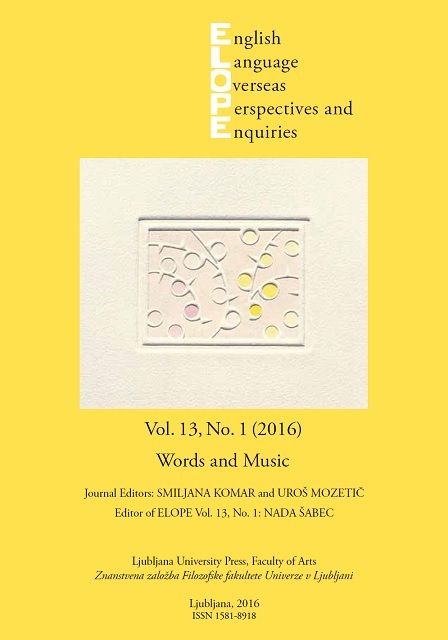 The ten articles in this issue of ELOPE focus on various aspects of the relationship between words and music. ELOPE Vol. 12, No. 2 (2015, Eds. 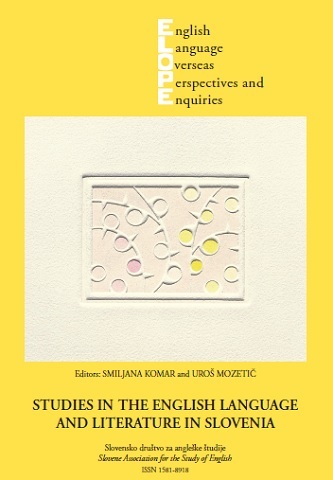 Smiljana Komar and Uroš Mozetič) presents the research and academic discussion of issues in the fields of linguistics, literature, translation and ELT. 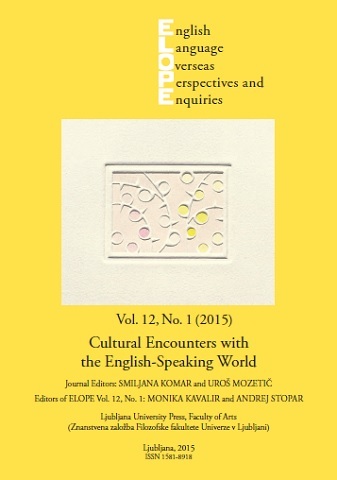 The articles in this issue take a close and critical look at the cultural differences and barriers encountered in interaction with English-speaking countries and the specificities of English-mediated intercultural communication. ELOPE Vol. 11, No. 2 (2014, Ed. Andrej Stopar) presents the research and academic discussion of issues in the fields of linguistics, literature, translation and ELT. Dedicated to Darja Hribar, ELOPE Vol. 11, No. 1 (2014, Eds. Tomaž Onič and Simon Zupan) presents studies in the fields of language, literature, ELT, and translation. ELOPE Vol. 10, No. 2 (2013, Eds. 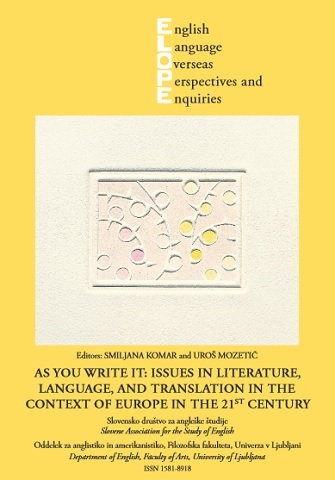 Smiljana Komar and Uroš Mozetič) presents contributions in the fields of linguistics, literature, translation and ELT. ELOPE Vol. 10, No. 1 (2013, Eds. 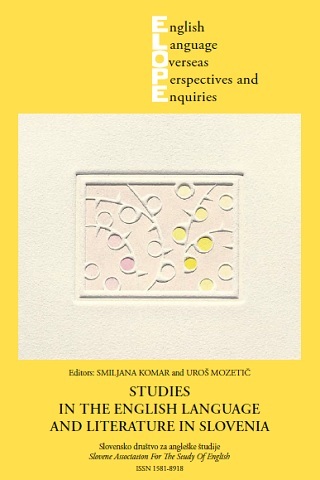 Smiljana Komar and Uroš Mozetič) presents contributions in the fields of linguistics, literature, translation and ELT. ELOPE Vol 9, No 2 (2012, Eds. 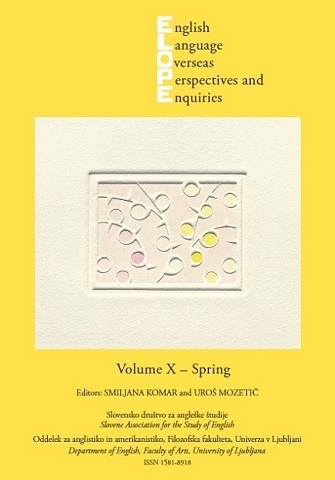 Smiljana Komar and Uroš Mozetič) presents the research and academic discussion of issues in the fields of linguistics, literature and translation. ELOPE Vol. 9, No. 1 (2012, Ed. 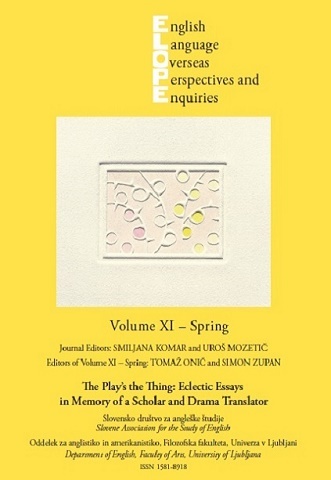 Tomaž Onič) is a special issue of ELOPE devoted to Harold Pinter. ELOPE Vol. 8, No. 2 (2011, Eds. Smiljana Komar and Uroš Mozetič) presents the research and academic discussion of issues in the fields of linguistics and literature. ELOPE Vol. 8, No. 1 (2011, Eds. 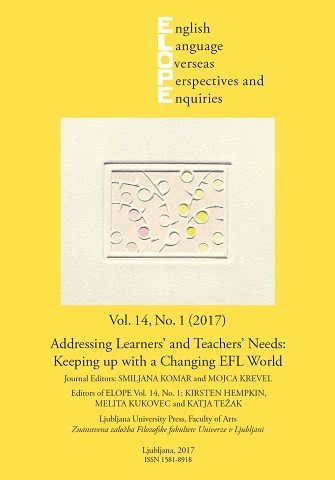 Smiljana Komar and Uroš Mozetič) presents the research and academic discussion of issues in the fields of linguistics, literature, and ELT. ELOPE Vol. 7, No. 2 (2010, Eds. 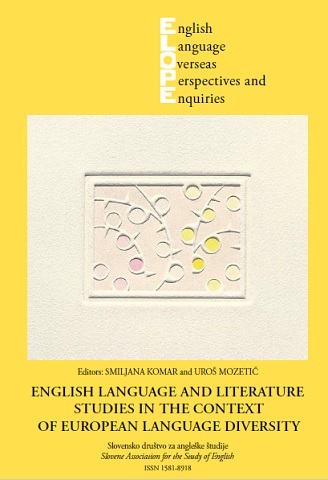 Smiljana Komar and Uroš Mozetič) presents the research and academic discussion of issues in the fields of linguistics, literature, translation and ELT. ELOPE Vol. 7, No. 1 (2010, Eds. 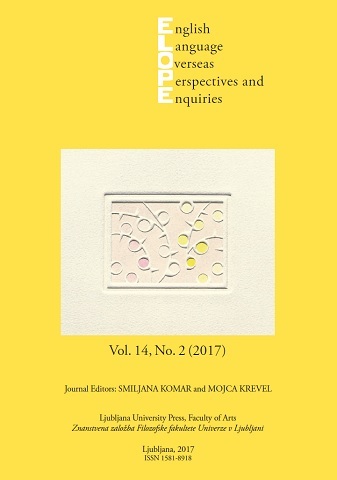 Smiljana Komar, Uroš Mozetič) presents the research and academic discussion of issues in the fields of linguistics, literature, translation and ELT. ELOPE Vol. 6, No. 1-2 (2009, Eds. 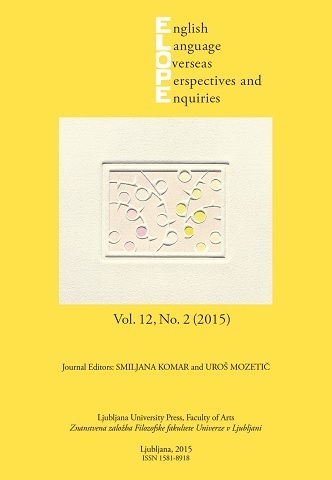 Smiljana Komar and Uroš Mozetič) presents contributions in the fields of linguistics, literature, translation and ELT. ELOPE Vol. 5, No. 1-2 (2008, Eds. 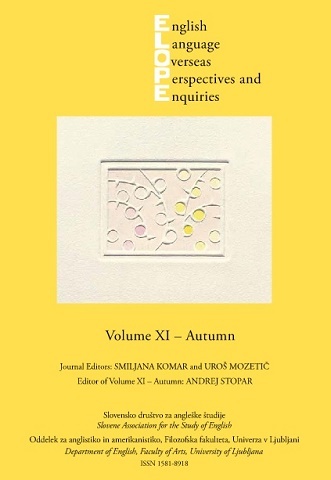 Smiljana Komar and Uroš Mozetič) presents contributions in the fields of linguistics, literature, translation and ELT. ELOPE Vol. 4, No. 1-2 (2007, Eds. Smiljana Komar and Uroš Mozetič) presents contributions in the fields of linguistics, literature, translation and ELT. ELOPE Vol. 3, No. 1-2 (2006, Eds. Smiljana Komar and Uroš Mozetič) presents contributions in the fields of linguistics, literature, translation and ELT. The double issue is dedicated to Meta Grosman. ELOPE Vol. 2, No. 1-2 (2005, Eds. 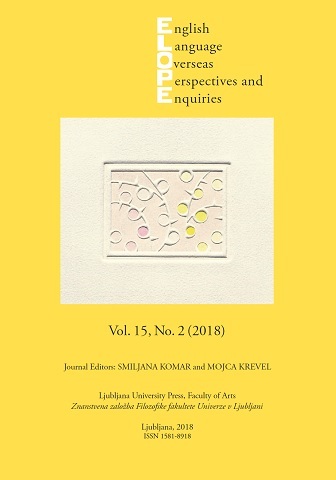 Smiljana Komar and Uroš Mozetič) presents the research and academic discussion of issues in the fields of linguistics, literature, translation and ELT. ELOPE Vol. 1, No. 1-2 (2004, Eds. 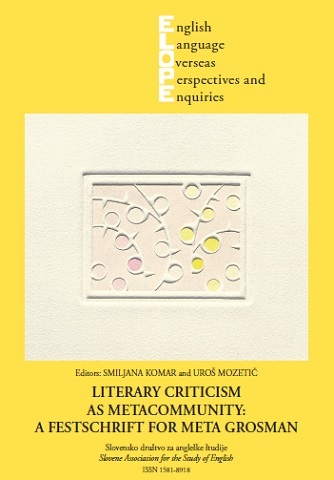 Smiljana Komar and Uroš Mozetič) presents contributions in the fields of linguistics, literature, translation and ELT.